Why learning how to tune a piano aurally when you can use an electronic piano tuner device or a piano tuning software? Aural piano tuner versus electronic piano tuner, what is best? In the world of piano tuning, this current topic has been around for quite a while. Tuning a piano with an electronic device never has been completely accepted by the community of piano tuners, specially the senior ones, as it was consider poor quality and unprofessional sort of piano tuning. However, during the last decade or so, have appeared a new generation of much more accurate electronic tuners and computer programs. Although I always been in favor of aural tuning, (still I am) have to admit that thes days is possible to tune a piano to areasonable good standard with an electronic tuner. The only drawback is its high price and therefore the difficulty to make them worth unless you tune many pianos. 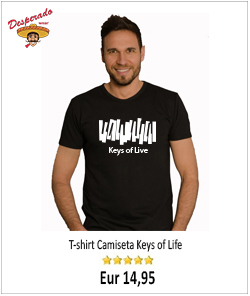 There are two basic types of electronic tuners, the chromatic ones (fairly inexpensive) and the specially dedicated for tuning the pianos used by professionals in general, as we said before, quite dear. With a chromatic tuner you can tune just about anything, You can use a chromatic tuner to tune a piano, but have to follow a certain procedure (already explained by me in another article). In short, have to recalibrate at every step. Also these chromatic tuners can’t read too well the very low and high frequencies of the piano, so you must have the ability to tune by ear at least unisons and octaves. One of the most atractive applications I can see is to be able to record a good aural tuning, so you can reproduce in the future as many times as you want. 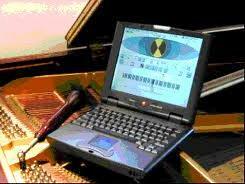 Just think, you are inspired and produce an outstanding aural tuning in a particular piano, why not record it? So when you tune again the same piano you can replicate the same excellent tune you did before. You never know, maybe next time the muses will not be around. Inspiration? yes it’s a fact, some days you tune better than others. Another important function, probably the most interesting one, is when tuning in noisy environments. In these situations when hearing the beats can be tricky, an electronic tuner can be of great help and significantly improve your tuning. In some of these electronic or computer tuners you have also the possibility to connect accessories like a contact mike. Also an electronic tuner can make life easier when tuning to a non-standard pitch, for instance, A 442. 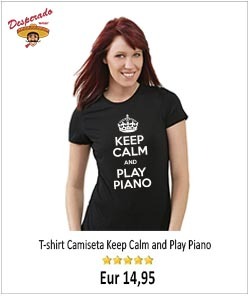 That kind of tuning is required mainly when the piano is going to play with brass instruments as those have the particularity to lift their pitch when they have been playing for a while. Can also be handy when tuning two pianos that have to play together. You tune one piano aurally and record the tuning, then replicate the tuning you have just recorded on the second piano to the exact parameters. So, you could ask: Why to learn to tune a piano aurally when you can use an electronic piano tuner device or a piano tuning software? An electronic or computer based piano tuner can be a good asset and certainly a valuable tool for professional piano tuners, but in no way can replace aural tuning. To have a good insight of his job a piano tuner should always be able to tune a piano aurally. That will no doubt enhance considerably the quality of his work. In my opinion aural and electronic tuning are compatible, and there is nothing that indicates the contrary. The two ways can co-exist and work nicely side by side. Why not to used the best of both worlds? After all, technology is here to stay, or so they say. I got a fascination with aural vs. electronic tuning when I found a Peterson strobe tuner app for my iPad and downloaded it for $10. It will only do mathematically correct equal temperament pitches, but it can very easily be set to tune at different pitches and even different keys, and the display gives frequency and how far from correct you are in cents. In tuning pianos, I immediately noticed that vibrating strings can be very quirky beasts! It is fascinating to see just how a piano needs to be tuned in different areas of its range to harmonize with itself correctly. Even in 7 and 9 foot grands, the lowest notes on the treble bridge need to be tuned about 9 cents flat to sound right. I also found that my tuning fork can vary with temperature. If it is really cold it will pull up close to 441 Hz, and if I pull it out of a hot car it can be around 439.3 Hz. Sometimes the iPad makes tuning easier, but my ear has to be the final judge for a good tuning. Thank you for the post, it is very interesting. This tuner looks good and clever but as far as I know can not be used to tune a piano as it works and tune as an ordinary chromatic tuner. Anyway, what can you expect for 10 $? The real Petterson Strobe tuner costs around 1000 dollars! 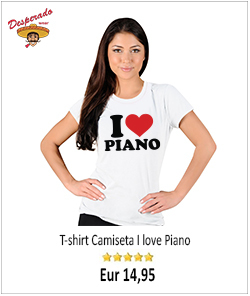 With this one, yes you can tune a piano. Thank you for the article. I think people who prefer aural tunings do so because it is more organic, or old fashioned. I also feel this way, but I understand the importance of a good ETD. fantastic blog. Given its incredible history, the piano remains the most overlooked instruments of this generation. joel fan has some new insights on how to learn piano if you are interested.